Dr Jengo's World: Looking for White Playstation Gold Wireless Headset! Looking for White Playstation Gold Wireless Headset! I like making things difficult for myself.. 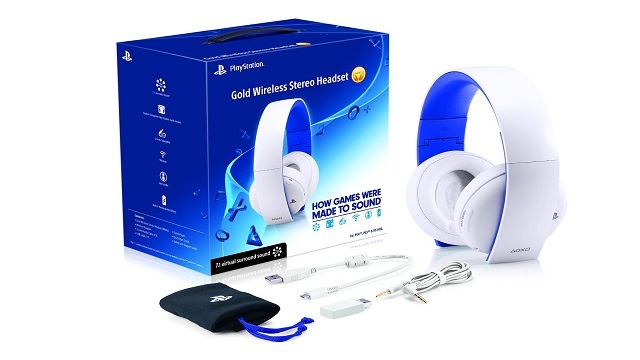 I have been wanting to get the White Playstation Gold Wireless Headset as an upgrade to my current Wireless Stereo Headset for quite a while now.. Saw it at my local store but I have just been procrastinating.. Being lazy to go the mall after work, forgot to bring my membership card, just didn't want to part with my cash etc etc were some of the reasons that just kept me from buying it.. So.. just when I decided.. Ok today's the day, let's buy it.. It's sold out at my favourite store. Oh well, there's other stores I thought.. and then boom! Every store I go to, says it's sold out.. I mean come on man.. There were so many of these lying around in stores and then now they are all gone??!! What luck.. So now, I'm on a hunt for this around the country. If someone out there has one for sale, or know of any store that has stock for this, could you kindly let me know.. I would prefer brand new as I prefer my hardware mint and freshly taken out of the box myself. Also, are there any issues if I purchase one from abroad? For example, Amazon? I don't see any adaptors that would cause any issues so I'm assuming I can purchase one internationally and still use it without any problems. Only issue I see would be warranty-wise which is quite a bummer if it does break down within a year..